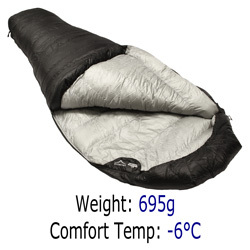 If you are into ultralight weight back packing , our lightest and smallest sleeping bags will help keep the weight from your rucksack. 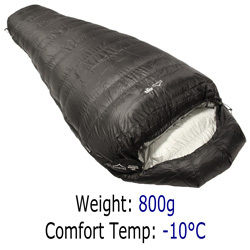 Our sleeping bags that are suitable for ultra lightweight backpacking come from our Ultralight and Quantum ranges. 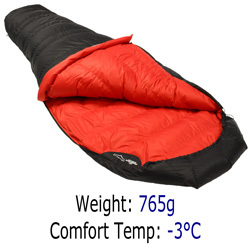 These sleeping bags have minimum comfort temperatures from +3°C to -10°C and weights of between 530 grams to 800 grams. 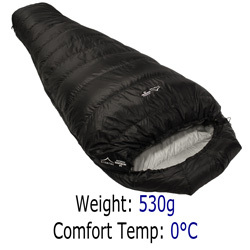 The best sleeping bag for you will depend upon how warm or cold it is likely to be when you are backpacking, how cold you get when you sleep and how much weight you want to carry. 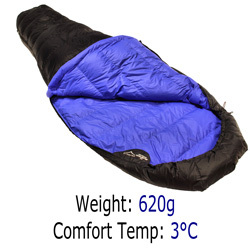 This table's headers are fixed and its content can be scrolled left to right.